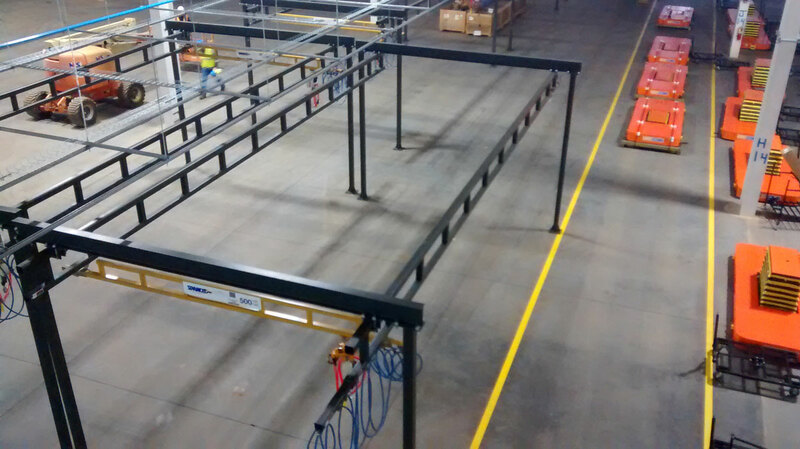 AFE Crane is a distributor for all industry-leading brands of enclosed track systems. An enclosed track system ensures smooth operation of the crane by preventing dirt accumulation inside tracks and maintaining end truck and trolley-wheel alignment. 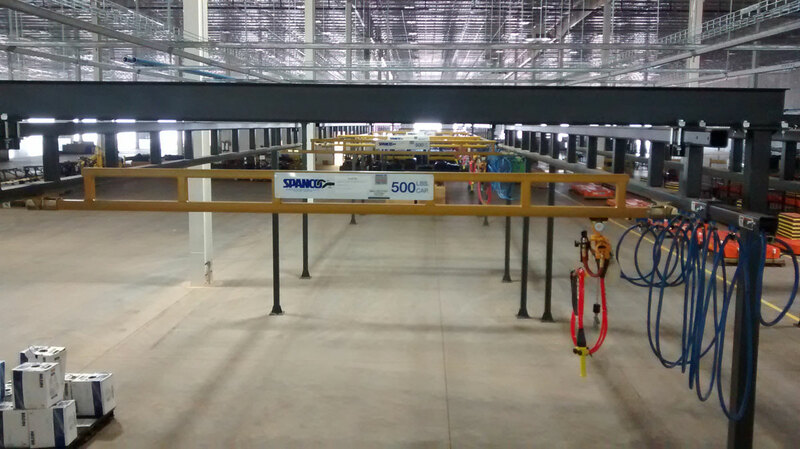 They are easier to operate and control by hand compared to an open wheel crane systems, making an enclosed track system ideal for workstation cranes and other low capacity applications. Capacities are available up to 4,000 lbs. Dimensions can be up to: 40 ft overall bridge length, 20 ft overall height, 45 ft column spacing, and unlimited combined runway length. Enclosed track systems are made of steel or aluminum and can be supported by either free standing or ceiling mounted runways/monorail systems. Enclosed track can also be used in low capacity jib crane booms. 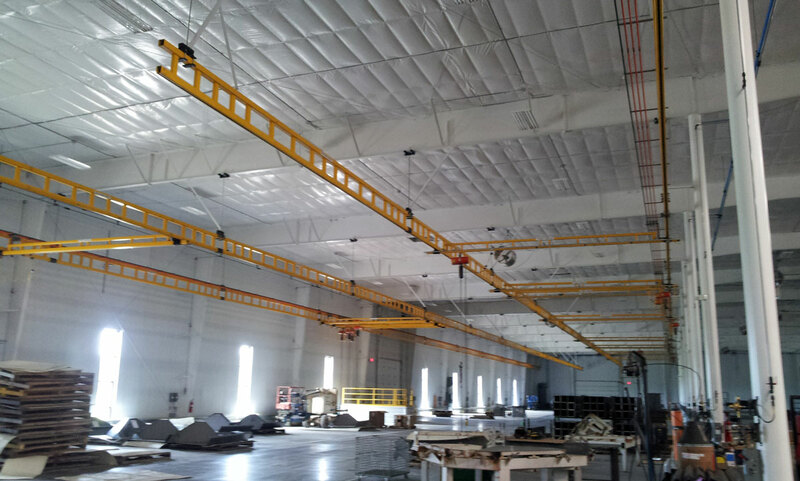 Freestanding crane systems are pre-engineered systems that include columns and header beams to support the runways. 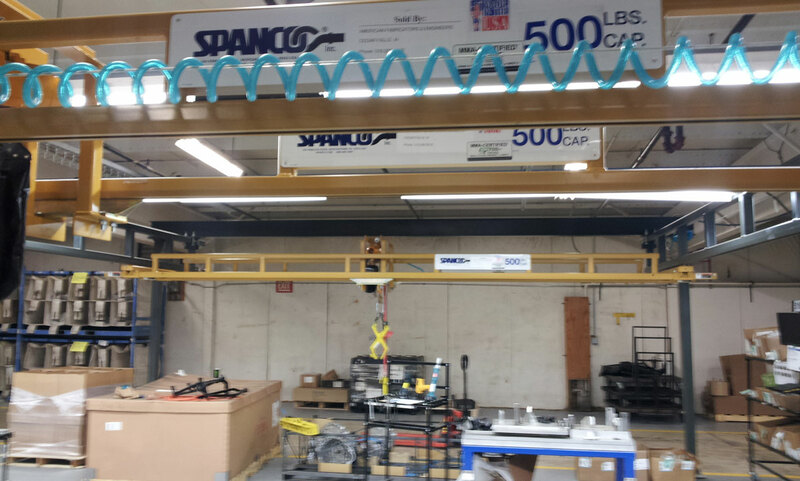 A freestanding workstation crane system can be installed without interfering with an existing overhead bridge crane. 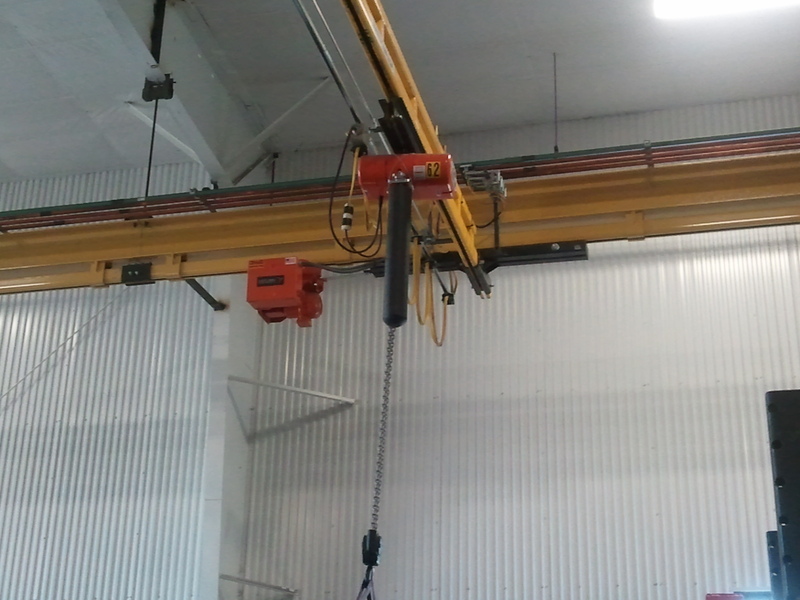 These crane systems are easy to install and typically do not require concrete footings. 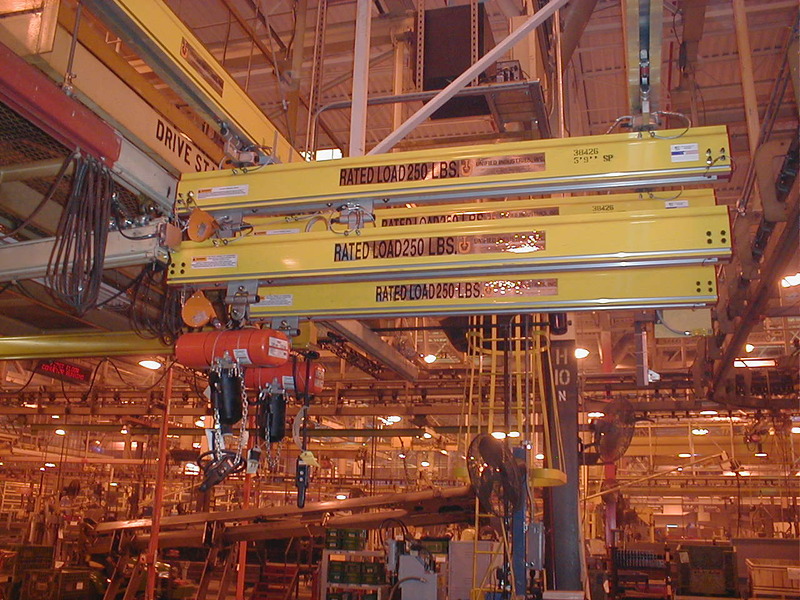 Ceiling mounted systems include hanger rods (or tubes) which attach to beam clamps to allow the crane system to hang from an overhead structure, such as building trusses. 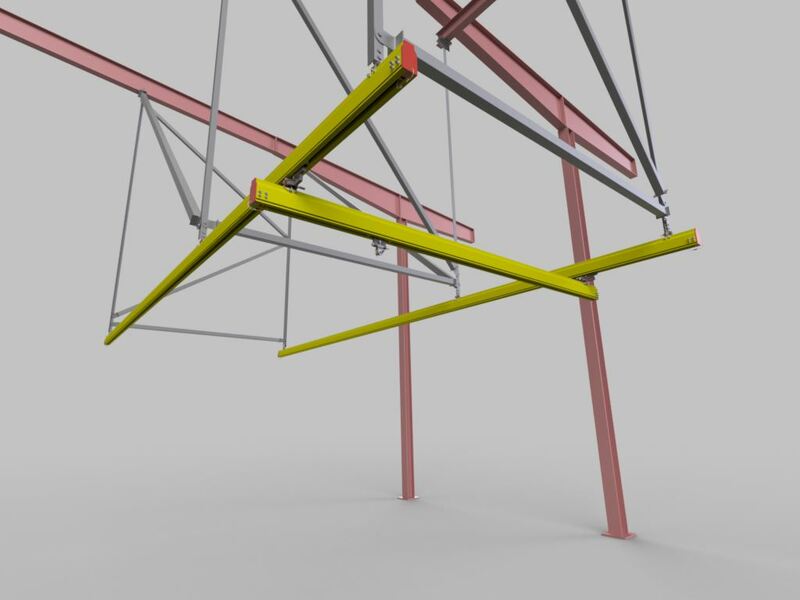 Ceiling mounted systems require additional structural members for sway and trust bracing. Alternatively, these runways can be supported by hangers that hold the runways flush to the underside of building trusses (or similar overhead structure).